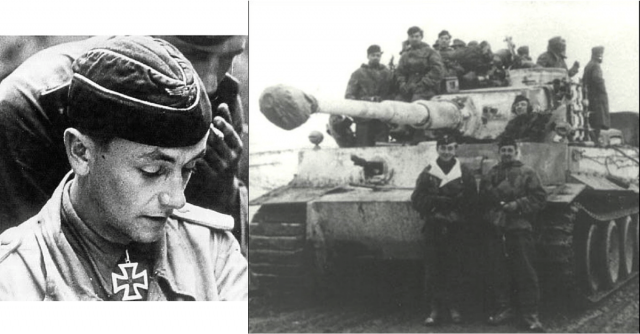 One of the most respected and successful German tank aces, Otto Carius, who destroyed more than 150 tanks, died on 24th January 2015, at the age of 92. 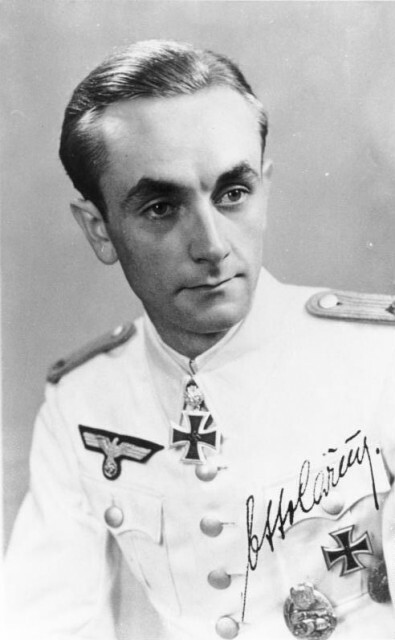 In recognition of his gallantry and unmatched battlefield leadership, he was awarded the Knights Cross of the Iron Cross with Oak Leaves, known in Germany as “Ritterkreuz des Eisernen Kreuzes mit Eichenlaub”. Born in 1922, he was refused admission to the army on two occasions, the reason cited as ‘Not fit for service: at present underweight’. However, his chance came when in 1940 Carius was accepted into the 104th Infantry Replacement Battalion. Upon completion of his training, Carius volunteered to join the Panzer Corps. He was drafted into the 7th Panzer Replacement Battalion, and received his fundamental tank warfare training at Putlos in Holstein. The 7th Panzer Replacement Battalion was soon integrated into the 21st Panzer Regiment, and Carius was deployed to East Prussia in June 1941. While fighting on this font, Carius suffered serious wounds, when his tank was hit several times, and many rounds penetrated his tank’s armour. Carius was transferred to Schwerin Panzer-Abteilung 502, meaning the 502nd Heavy Tank Battalion, in 1943. The 502-tank unit was actively involved in the Battle of Leningrad and the Battle of Narva, in Estonia. During these campaigns, Carius’s unit was commanded by Hyacinth Graf Strachwitz von Grosz-Zauche und Camminetz. Carius suffered serious wounds on 24th 1944, while leading his tanks on a motorcycle. He was ahead of his tanks, making sure that the area his unit was going into was clear and safe. These wounds turned out to be somewhat lucky for Carius, as he was given command of the 2nd company of the 502nd. Until that day, Carius had been unofficially leading the 2nd company, but after getting shot in leg, arms and neck, he was promptly promoted to the official commanding position. Not long after this promotion, in 1945, he became the commander of the Jagdtiger Company of the 512th Heavy Antitank Battalion, The New York Times reports. After the Second World War had finished, Carius took a different path and decided to study pharmacy at Heidelberg University. After completion of his pharmacy studies, Carius started his own pharmacy business, under the name ‘Tiger Apotheke’. He named his shop, in Herschweiler-Pettersheim, ‘Tiger Apotheke’ as a tribute to his tank during the war, the ‘Tiger Tank’. The Tiger Apotheke was headed by Carius until 2011. He also authored a book about his wartime experiences, entitled ‘Tigers in the Mud’. One of the most celebrated German tank aces of the Second World War, he died on 24th January 2015.